There really isn’t a plot to Gilbran’s volume; only a set up in which a group of people gather to hear the prophet Almustafa speak on a variety of subjects one last time before he embarks on an ocean voyage back to his homeland. In the film, Mustafa (voice of Liam Neeson) is a political prisoner who is looked after by housekeeper Kamilla (Hayek). Kamilla in turn has problems of her own dealing with a daughter, Almitra (voice of Quvenzhané Wallis), who hasn’t spoken a word since the death of her father, and who has a habit of stealing and otherwise causing havoc in town. Mustafa is told he can be freed if he returns home. However, there are some who consider the prophet’s words and ideas too dangerous, and a further condition is added for his release: Mustafa must renounce all he has said and written. This he refuses to do, resulting in an order for his execution. The townspeople rally to Mustafa’s defense while Kamilla, Almitra, and a sympathetic guard (voiced by John Krasinski) try to come up with a plan to break the prophet out of prison, but it may be too late. There is nothing particularly new or interesting about this framing sequence directed by Roger Alles (THE LION KING), but the segments adapting Gilbran’s poems are visually interesting. Each poem is adapted in a different style by a different animator, among them Tomm Moore (THE SECRET OF KELLS, SONG OF THE SEA), Bill Plympton (all those weird Plyptoon shorts), Nina Paley (SITA SINGS THE BLUES), and Joann Sfar (GAINSBOURG: A HEROIC LIFE). These segments will appeal to those who appreciate animation as an art form, but feel somewhat at odds with the more commercial feel of the main story. There are some works of literature that just don't translate to the screen, and it would seem this is one of them. 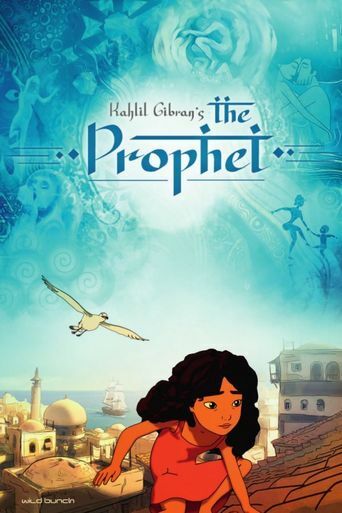 Or maybe it was just the wrong approach trying to turn 'The Prophet' into a family film intended to have broad appeal. 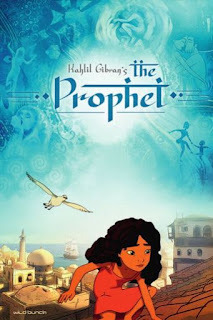 Either way, this is the movie we have, and regardless of how one feels about Gilbran’s philosophy, THE PROPHET just isn’t a compelling piece of cinema. No doubt it will still appeal to some, and others will bend over backwards trying to convince themselves they like it because they feel as if they should, but I’m in no mood for such contortions. It’s not a horrible film, by any means, but the attempt to blend formulaic mass entertainment with artsy metaphysics comes up short on both counts. 2 out of 4 stars.